The Load Shedding Notifier is a simple project which notifies you when there is a power outage/interruption as well as when power is restored. It sends the notification via SMS to a specified mobile number. My country is currently experiencing increased Load Shedding events due to lack of water for electricity generation, which is as a result of poor rainfall during the previous rainy season. To help customers cope with load shedding events, our electricity supplying company publishes a Load Shedding Schedule every month, which lists neighborhoods in groups with different daily timings for load shedding, for each group. However, this schedule is not always accurate. Every so often, a certain group or neighborhood would experience more (or less) hours of load shedding than expected. The idea for this project came to me one day at my place of work when I needed to know whether or not my neighborhood was experiencing unexpected load shedding. My supervisor suggested pinging the IP of my internet modem. I work for an Internet Service Provider. I thought it was a brilliant trick. I then thought of ways I could automate such a method and get notified wherever I go. I wrote a simple script which would ping every 5 minutes or so, and send me an email if there was a change in state. It worked, in theory, but not in some cases, when my modem was off or not reachable despite power being available, either because of a network outage or simply because the modem was turned off at the socket. Then one day I remembered the LinkIt ONE board. This is the very first prototype. Version 1.0.. It works really simple. The flowchart below explains it all. The Setup. Prototype Version 1.0. Now, imagine having one of these installed in every neighborhood in Zambia. Real-time notifications for electricity consumers. No Schematics. 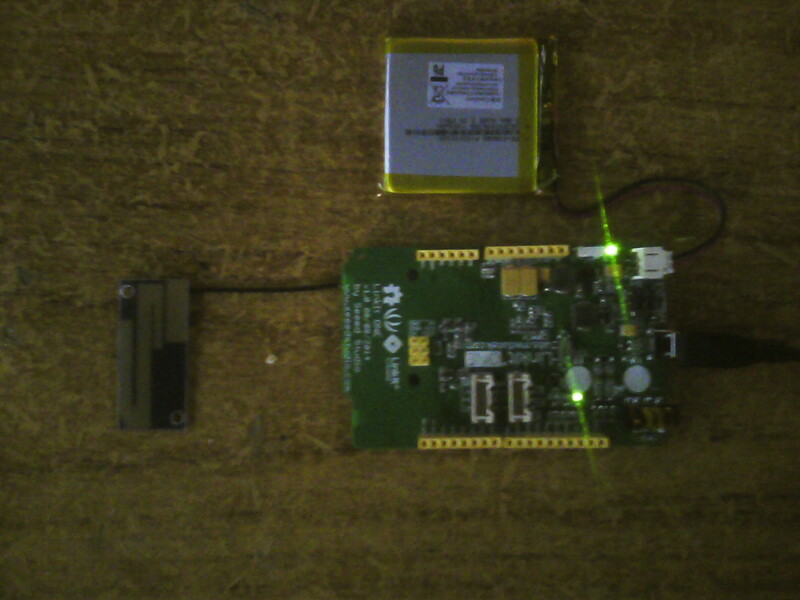 Just connect the battery, GSM antenna and insert a SIM card.